Welcome to KAYA jewellery! We make beautiful children's jewellery to remember special moments like the birth of your baby, her christening, birthday, communion or for the little bridesmaid. We create personalized pearl kids jewellery designed for your special occasion, destined to become part of your family's heritage, treasured mementos for years to come. A children's bracelet on her cute little wrist adds something memorable to your special day, then becomes a treasure to cherish forever. And for an extra special touch: a lot of our jewellery is also available in a mummy version, so mother and daughter can shine together. All our jewellery is made of the finest quality pearls, crystals and gemstones. We don't hire a studio or advertise and we make & design everything ourselves, so our prices are lower than other jewellery brands. Your gift is packaged with a luxury silver polishing cloth and matching greeting card, ready to give! 'Everyone's a star and deserves the right to twinkle' said Marilyn Monroe. Let mum feel like a star - because it's her birthday, because she is always there for you, or because she is the best mum in the world. 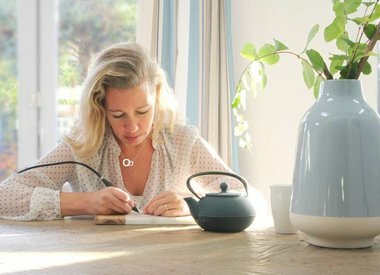 KAYA makes sterling silver jewellery for mum with her children's names, words of love or special dates. Everything is engraved for free. 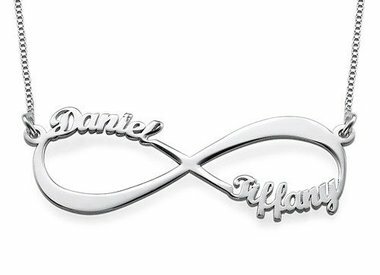 She will wear this jewellery with pride and will cherish it forever as a reminder of that special moment. 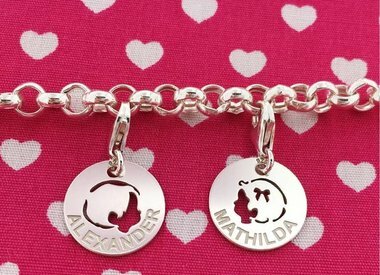 Mother and daughter bracelet sets, to celebrate your special connection. 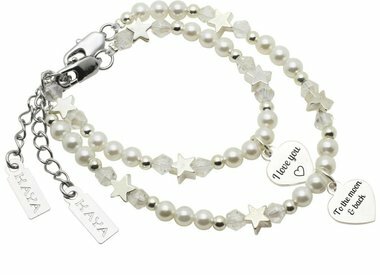 KAYA jewellery also designed a mother and daughter jewellery collection that celebrates the love and special connection between a mother and her kids. 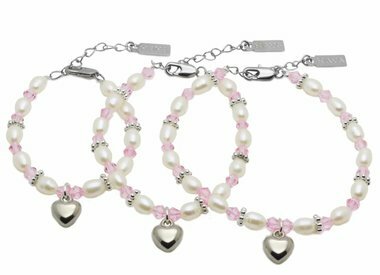 The mother and daughter bracelets sets are part of our best selling range, beautiful for mum and her sweet daughter. An adorable way to say show your daughter how much you love her. All sets are handmade in our studio in London, piece by piece handmade with love. To make you bracelets extra personal, add a name or text charm to your bracelet. 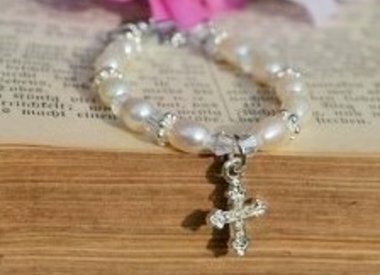 A gift you can't go wrong to celebrate the birth of a baby, her birthday or her christening ceremony. There is nothing sweeter than the face of a new precious little one. 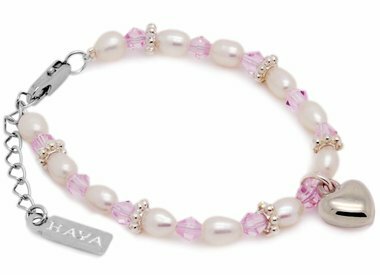 KAYA jewellery helps you remember these times with baby jewellery made of real freshwater pearls. 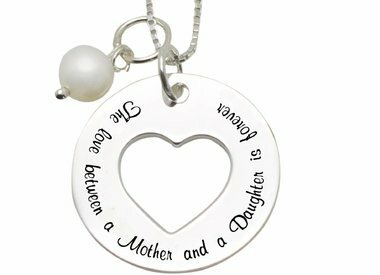 Just a perfect personalised keepsake jewellery gift to celebrate a special event such as the birth of a daughter, a christening or her first birthday to remember that day forever. All Our baby bracelets pieces are handmade in London, crafted with love and great attention to detail. 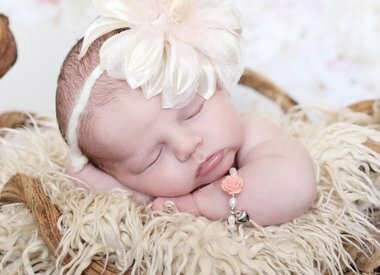 Each baby bracelet is hand-made and carefully custom designed to the requested size. Your bracelet comes with gorgeous gift wrapping, polishing cloth and a personalized gift card. Jewellery & greeting card together, symbolic gift! Looking for a gift for your mother, sister, your beloved or your best friend? A gift with special meaning that she can wear every day? Check out these unique jewellery greeting cards! Silver chains are the jewellery hit of the 2016 collection, and with the beautiful text on the card you give a gift with meaning.